This NASA image of the day comes from the Cassini Spacecraft and shows Saturn’s hexagonal polar jet stream. Saturn’s hexagonal polar jet stream is the shining feature of almost every view of the north polar region of Saturn. The region, in shadow for the first part of the Cassini mission, now enjoys full sunlight, which enables Cassini astronomers to directly image it in reflected light. Although the sunlight falling on the north pole of Saturn is enough to allow us to image and study the region, it does not provide much warmth. In addition to being low in the sky (just like summer at Earth’s poles), the sun is nearly ten times as distant from Saturn as from Earth. This results in the sunlight being only about 1 percent as intense as at our planet. The image was taken with the Cassini spacecraft wide-angle camera on January 22, 2017 using a spectral filter which preferentially admits wavelengths of near-infrared light centered at 939 nanometers. The view was obtained at a distance of approximately 560,000 miles (900,000 kilometers) from Saturn. Image scale is 33 miles (54 kilometers) per pixel. This view looks toward Saturn from about 31 degrees above the ring plane. 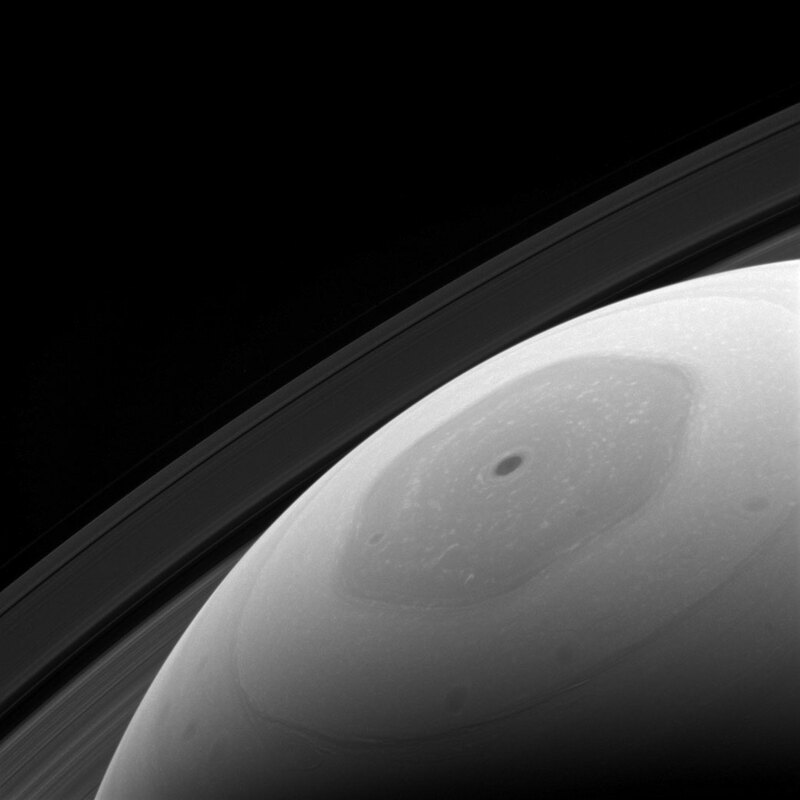 Be the first to comment on "Cassini Views Saturn’s Hexagonal Polar Jet Stream"